Superdry men’s Lucky 8 all over print CNY t-shirt. This tee has been inspired by the celebration of the Chinese New Year. Breathe life into the new season by investing in this staple tee for your wardrobe. 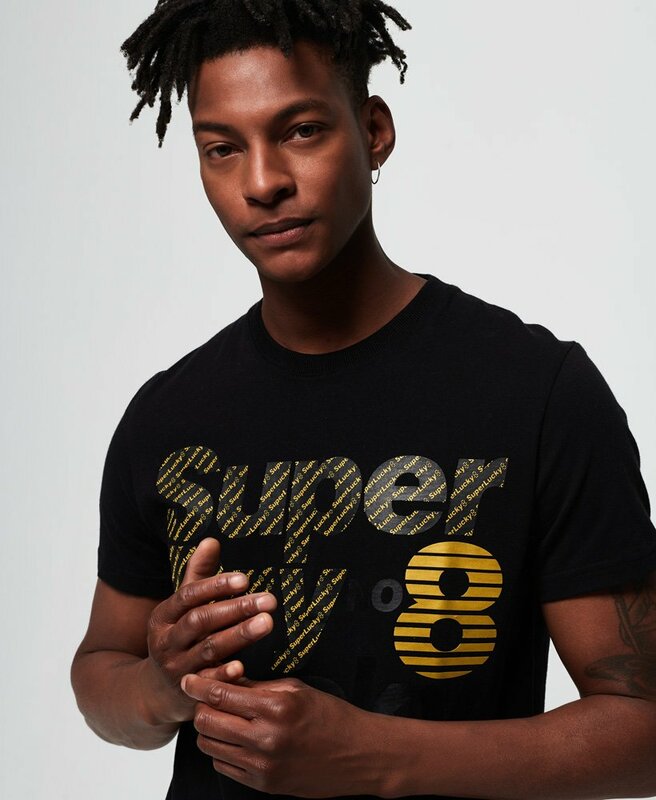 It features a crew neckline, short sleeves and a Superdry logo across the chest. For the perfect combination, match this tee with jeans and a hoodie for a casual look.